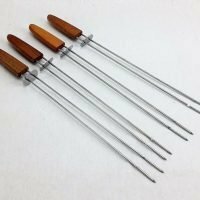 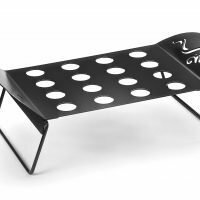 The round 12 inch bamboo grilling skewers 100 pack by Outset. 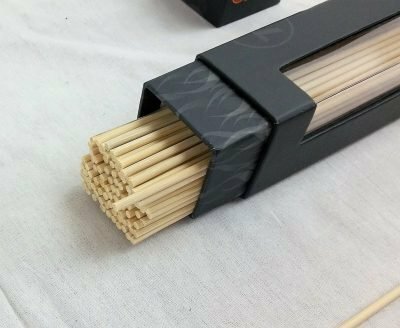 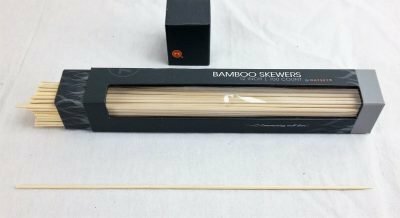 These round bamboo grilling skewers are 12 inches long with a pointed end and come in a convenient fireplace matchstick type box. 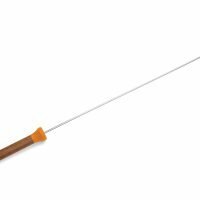 Get skewed! It couldn’t be easier than with our natural bamboo round skewers. 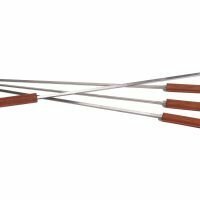 Perfect for summer barbecues and cookouts… these skewers are thin, yet strong and work for even the smallest food. 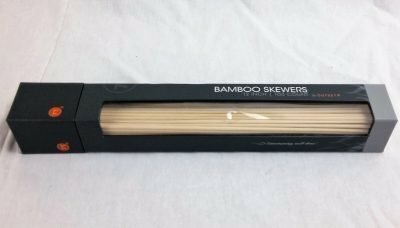 The bamboo skewers are disposable, or can be washed and reused.